With the holidays among us it’s that time of year to examine your carpets. With guests coming in and out of your home you want to make sure your home is welcoming and as clean as possible. You want to make a good impression whether your guests are staying a few days or just a few hours. The most noticeable parts of your home and sometimes the least thought about parts are your carpets. If your carpets haven’t been cleaned in a while it’s time for a carpet cleaning! Take a minute and examine your carpets. I bet you didn’t know that it was covered in grey and black spots. I bet you didn’t notice those drink stains from your kids or soiled spots from your pets. A lot of times we are so caught up in our daily routines that we don’t often look down and notice or think about how dirty our carpets are. Spots can appear just from walking on them on a daily basis over and over again or from dust that comes from your A/C vents. It is important to have carpet cleaning performed at least every 6 months or every quarter depending on how much traffic your carpet sees. 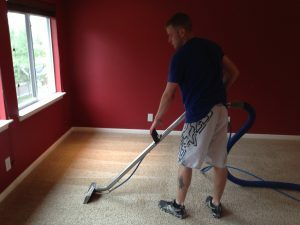 Steam carpet cleaning will be the best thing you can do to your carpets. It will sanitize, eliminate dust mites and allergens, and remove any bacteria or germs. 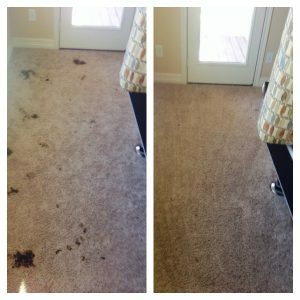 Beyer Carpet Cleaning offers a deep clean that includes their prespray to help remove all those spots and stains you never noticed until now. Have odor? 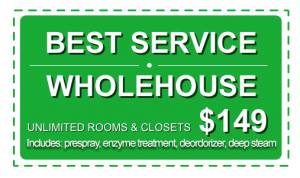 Well, Beyer Carpet Cleaning includes a free deodorizer with all their deep cleaning treatments to freshen up your carpets. Believe it or not carpets can hold odors that won’t go away until they are properly cleaned. If you have pets and need to get rid of soiling spots or odor Beyer offers an extensive pet treatment on top of their deep cleaning in order to give your carpets the best carpet cleaning possible. Beyer Carpet Cleaning knows that the holidays can be stressful and expensive so they offer affordable prices and convenient appointments. They always have carpet cleaning coupons for their customers to take advantage of and are available Monday thru Saturday; they even have evening appointments so you don’t have to miss work! Impress your guests this holiday season and save money by using Beyer Carpet Cleaning. They will only provide the best carpet cleaning possible without breaking the bank. Their schedule fills up fast during the holidays so call today!